We have still another sad edition of the NNHS Newsletter today. 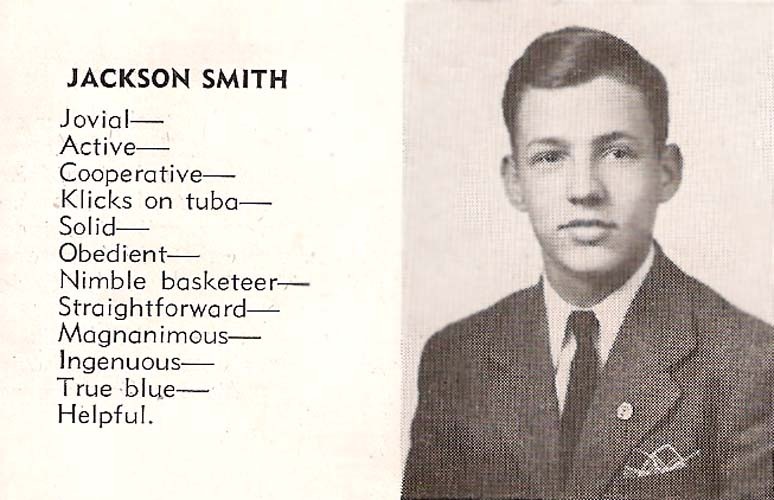 Jackson Smith, Class of June 1945, died in Poquoson on Friday, June 17, 2011 at the age of 83. I knew Jack Smith my entire life through our mutual connection with Orcutt Baptist Church. He was a kind and good man. He contributed much to something I am writing, regarding a World War II hero, Stanley Kennon. He knew him well and it is through Jack that I have the foundational material regarding his life. We both liked to collect memorabilia and I do certainly appreciate items he gave me. He had a close association with Miss Attie Kennon and he gave me her NNHS diploma, dated June 10, 1904. Additionally, he gave me a framed picture of Miss Attie (whom I knew personally) in her graduation gown, holding her diploma which was rolled with a ribbon around it. Jack was a fine Christian man and I shall always remember him and his kindness. My prayers are with Mary, his wife and with his children, Michael and Karen, and his four grandchildren. I work part-time at Peninsula Funeral Home and I had the privilege of working his visitation and his funeral service at Orcutt Baptist. Thank you so much, Fred; my sympathies on the loss of your good friend. 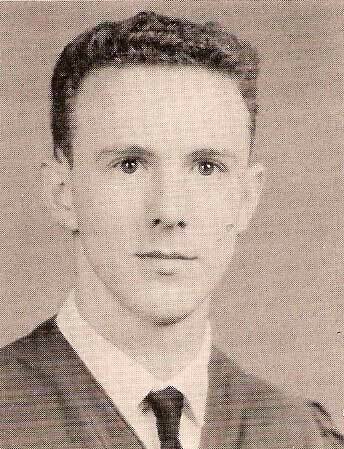 In high school he was known as Jackson Smith. The full version was in style in the early forties because of the popularity of hip talk deriving from the jazz musicians of those days. Jackson and I were enthusiastic members of the band. He played the monster sousaphone and I played trumpet. We players of smaller instruments were dependent on the bass players to keep the beat well-defined. At the beginning of each measure, Jackson would make a slight dip with the bell of his very prominent instrument. If the band began to drift off beat, his dip would become more pronounced. As Fred Mays ('60 - of VA) illustrates, Jackson Smith's leadership and influence extended well into his maturity. We shall all miss his dip. Thank you so much, Fred; my condolences on the loss of your friend and classmate. After so many years and not being blessed with your fabulous memory, I'm not sure, but I'm almost positive that Mr. Smith was my personal optician at White Optical Company back in the late fifties and early sixties. His photograph and the many wonderful descriptions given of him would certainly confirm that. 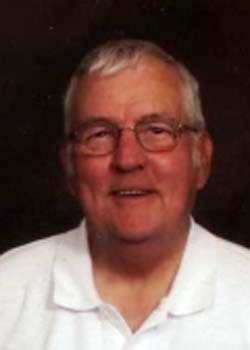 POQUOSON - George Jackson "Jack" Smith, died Friday, June 17, 2011. A lifelong Peninsula resident, he was born Dec. 10, 1927 and was the son of the late Gordon Bernard Smith and Lois Yelton Smith. His brother, Bernard Smith; and his sister, Lois Smith Brown also preceded him in death. Survivors include his wife of 61 years, Mary Tennant Smith; son, B. Michael Smith and his wife, Dolores of Valrico, Fla.; daughter, Karen Smith Corbett of Poquoson; and grandchildren, Onalee, Carter and Jackson Smith, and Erin Corbett. 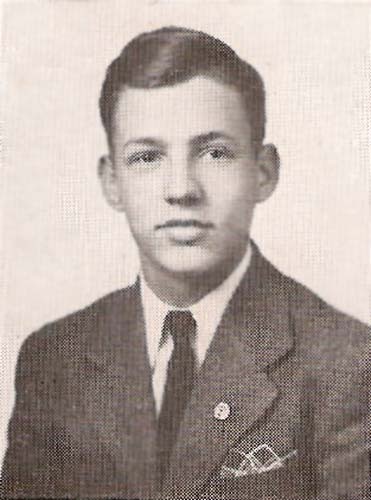 Jack graduated from Newport News High School in 1945. 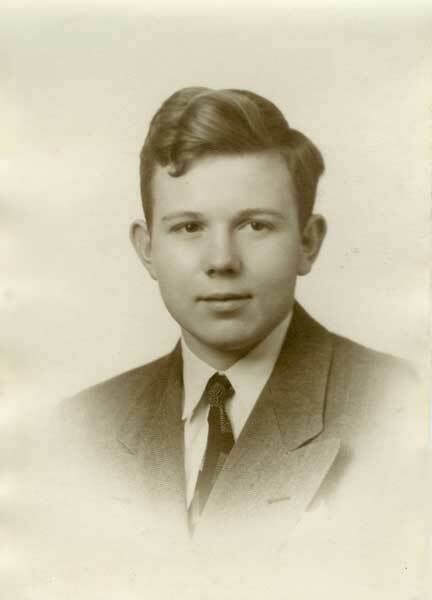 He began his career as an optician in 1945 at White Optical Company. In 1982, he began working at Swanson-Woodruff Optical, retiring in 1992. Jack was a Life member of Warwick Lions Club, joining in the early 1970's. He served in many capacities, including president. He was the recipient of the Melvin Jones Fellowship Award. Jack was an enthusiastic contributor to the club's annual variety show. 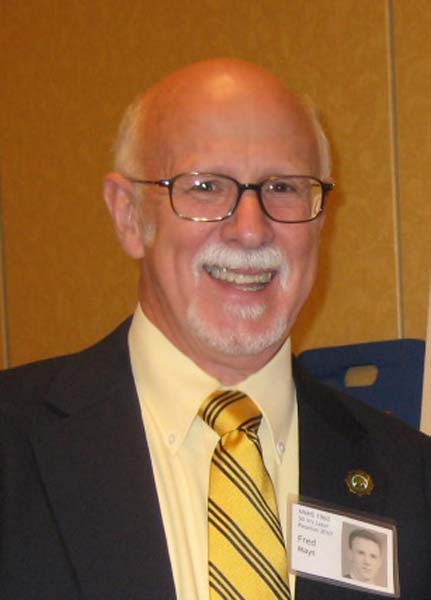 He was active at Orcutt Baptist Church serving as Deacon and on many committees. He was the Royal Ambassador Leader for the Peninsula Baptist Assoc. Jack was a member of the East End Blue Devils, active during the 1940's and 1950's. Jack loved the water and supplied his friends, on Griffins Beach and elsewhere, with crabs. The family will receive friends from 7 to 8:30 p.m. Monday, June 20, at Peninsula Funeral Home. Funeral services will be conducted at 2 p.m. Tuesday, at Orcutt Baptist Church with the Rev. Chris Fowler and the Rev. Ken Trinkle officiating. Interment will follow in Peninsula Memorial Park. In lieu of flowers, memorials may be made to Orcutt Baptist Church; or to the Warwick Lions Club of Va. Published in Daily Press from June 19 to June 20, 2011. Jack touched many lives during his lifetime and had a very special impact on mine. His kind heartedness and great spirit will live in me forever. He will be greatly missed by all that had the pleasure and blessing of knowing him. Oh my gosh, what is the Warwick Lions Club going to do without Jack? He was as special as special gets. While I was an active member of the club, if there was anything I needed help with, Jack was there. His happy voice and always a pleasant smile was so rewarding. Mary, God be with you as Jack has found his happy new home. I am sure that as he served those he was around on this earth, so too shall he serve those in his heavenly home. Here's to a great man. Mary and Family, Jack was a delightful friend, full of jokes and stories. We loved him. I really enjoyed it when he played in the Hand Chime Choir at Orcutt Baptist. He truly will be missed. To Jack Smith, my friend, in Heaven now but not forgotten. I have known Jack since I was a teenager and he always was very pleasant. He was very loyal, a hard worker, a good family man and I enjoyed having him with us every Friday with the Blue Devils. I appreciate what he did for Mr. Shoff at the Boys and Girls Club. He was one of the Blue Devils who donated money for a monument in honor of Mr. Shoff. I appreciate his hard work with the Warwick Lions Club. He gave it all. May God bless him and your family. We send you our deepest sympathy and sorrow for your loss. You and Jack were our kind of people - always ready to help anyone in need, while never expecting anything in return. We know that Jack is still telling his jokes and stories, now to the Angels. He will be sorely missed by all that had the distinct pleasure to have known him. God bless you and all the Smith family. Here in Florida, George's son Mike spoke often of his parents. It was clear that George was a wonderful father, grandfather, and husband. My condolences to Mary and to my friends Mike and Dolores. It is never easy to lose a love one, our thoughts and prayers are with you! Aunt Mary, I am so sad to hear that Uncle Jack has passed away. There is no doubt he is in Heaven. I'm sure he has taken over as head organizer for the 4th of July party in Heaven. You both have been so kind and helpful to everyone you meet. He will be missed by many. It was my honor and pleasure to have known Jack for almost thirty years through church. It has been Jack and Mary and Mary and Jack for almost 62 years. Mary, we will be there for you during these very difficult times. To the family of Jack Smith.......Hold on to your memories especially during these times, I did not know Jack personally; however I do know his son Mike. Through the years I have had the pleasure to hear some of the wonderful stories shared by Mike of family gatherings, holidays, vacations, graduations, and just fun family times together. There was so much love shared in the stories. My thoughts and prayers go out to the entire family during this time. Jack has gone on to a better place but will remain in your hearts and lives forever. We were so sorry to hear of Jack's death. He was such a dear Christian man. You and Jack have set a beautiful Christian example of marriage. We will miss his smiling face and loving example. May God's love and peace comfort you during this difficult time. Mary, we are sorry to hear about your news. We are sorry to hear the passing of Jack. He was a great person and a good man to fish and crab with. It is hard to believe I have known him for 20+ years. He was definitely one of a kind and will truly be missed by many. Our prayers are with you all during this time. We will miss Jack terribly. We love you, Mary, and we'll be praying for you. Mary, I am saddened by Jack's death. I loved Jack's jokes, stories, and sense of humor. He always had such good things to say about Ed and the SS class. He truly will be missed and I am glad I had the privilege of knowing him. Mary, you and your family are in my thoughts and prayers. We are so sorry to hear of your loss. Jack was such a special gentleman. He will be greatly missed by all. We pray that God will bless you with His love and comfort during your time of sorrow. B. Mike, I am so sorry to hear of your dad's passing. My thoughts and prayers are with you and your family. Mary, Frank and I thought so much of Jack. Frank so enjoyed his fishing trip with him and enjoyed talking about Lions Club. He was a true gentleman and beloved by all that knew him. He will be truly missed in person but with us constantly in spirit. Know that God's loving presence is always with you giving you comfort and strength to meet life's challenges and sorrows. May God bless you with the peace of knowing that you are never alone. My prayers are with your family and friends. Dear Mary, Mike and Karen. I was so sorry to hear the sad news of Jack's passing. He was a wonderful man; a true gentleman with a quick wit, always a smile, and a heart of gold. Though the mayor of Griffin Beach has gone to his heavenly home, his memory will last forever. I will miss him on my annual trip to Poquoson; who will sing O Canada for me? Mary and family, you are in my thoughts and prayers and I look forward to seeing you over the 4th of July. Mary, Mike, Dolores and family - it has been a great pleasure to know George and appreciate his zest for life. He has been a wonderful husband, father, grandfather to all of you and a great friend to many. Knowing Mike as I do, it is clear that George has passed down a wonderful foundation and sense of family and was a true role model for those who were close to him. Some of my happiest times in Poquoson were visiting with Jack and fishing in the old wooden skiff. They don't make men like Jack Smith anymore. My heart goes out to you. To my buddy Jack- Job Well Done! On behalf of the Boys & Girls Clubs of the Virginia Peninsula Alumni Association, we express our condolences! Jack bled Boys & Girls Club Blue! Also Go Blue Devils!!! Jack was a great friend all my life. We were born and raised in east end together and he always took care of my eyes. When we would meet he would have something to say about our east end friends. He will be missed greatly by all of us. To his family, my sorrow. Our prayers are with you and your love ones. Your dad is with our heavenly Dad and he is now resting and enjoying life that we all hope one day be united. 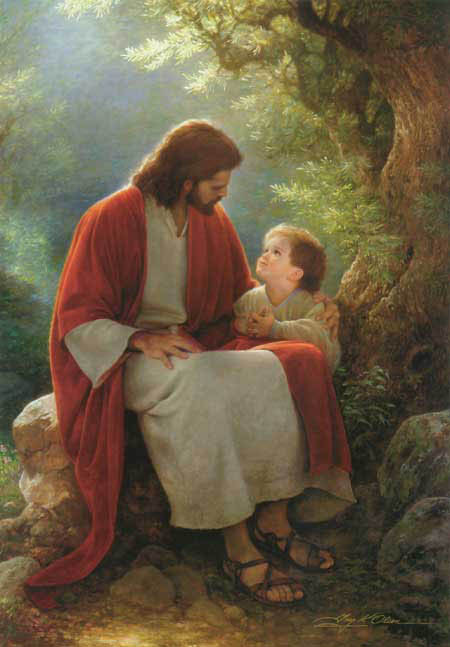 He is now with our creator and he can put a good word for all of the ones he share his love here in earth. 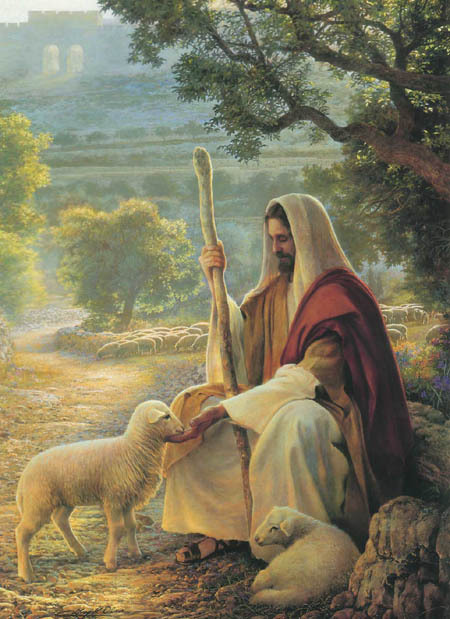 His mission in this world has been fulfill and has gone to Jesus who promised to all us to have a room in his father's mansion. I am sure that he is now enjoying life with our creator and we pray that one day we all see our love ones that have gone ahead of us. God bless your family and give you all the peace to accept his will. Karen, Tho I've never had the pleasure of meeting your dad, I want you to know that my heart goes out to you and your family...from what I've heard he sounded like a loving, caring and passionate man. Your are so lucky to have had him in your life! Hold on to those memories close to your heart and know that God, your friends, and family will get you through this...you are in my prayers Karen.. your buddy, Lisa :) Love you! My dad and I are saddened by the news of Jack's passing. He was such a fine, Christian man and always full of life. He will be sorrowfully missed. We extend our deepest sympathy to Mary and his family. Our deepest sympathies are extended to Jack's family, classmates, and friends at this difficult time.